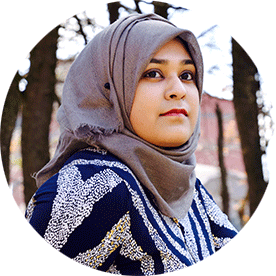 The itinerary of the modern day traveler is crowded with visits to typical tourist attractions such as historical monuments, enriching museums, and famous landmarks. 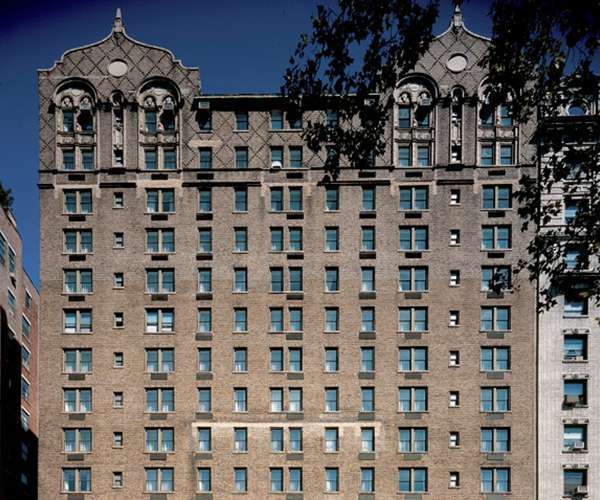 But extraordinary fountains, each offering a different experience, rarely make it to the lists of must see sights. When combined, incredible engineering and detailed craftsmanship lead to the creation of something spectacular that will amaze people of all ages. 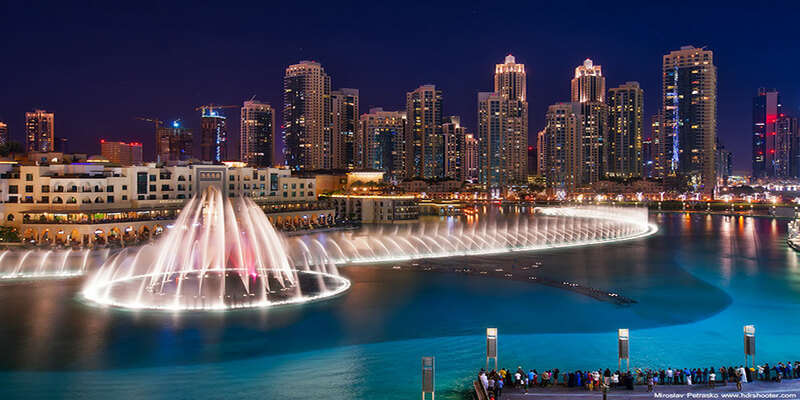 Like its neighbors, the Dubai Fountain in Downtown Dubai holds a world record of being the largest choreographed fountain in the man-made Burj Khalifa Lake. More than 6,600 lights and 25 color projectors illuminate the 22,000 gallons of water that launch 500 feet in the air. 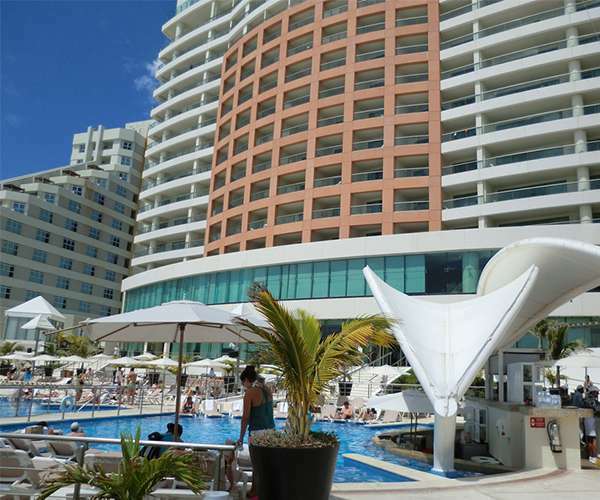 Daily performances feature an array of music and entertain thousands of visitors. With a clear line of sight, the dancing fountain can be seen 20 miles away. Appearing in a handful of films, the largest Baroque fountain in Rome is an identifiable piece of art with a rich history behind its construction. 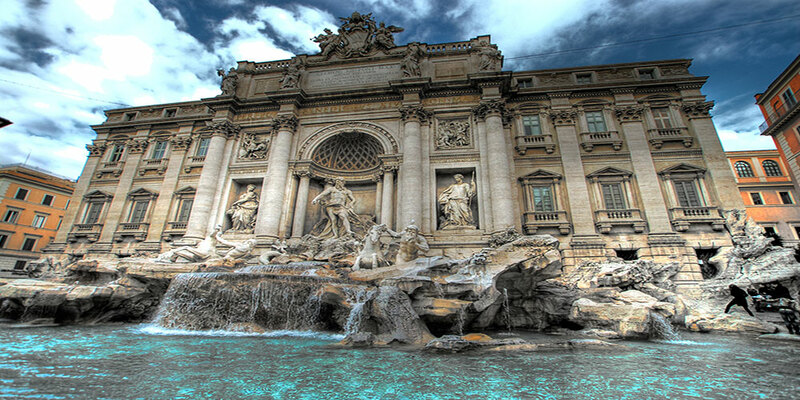 The origins of the Trevi Fountain, an Italian masterpiece accredited to Nicola Salvi, trace back to the early Roman era when it once served as the terminal point of the Aqua Virgo aqueduct. By the 18th century, the restoration of the Trevi district initiated by Pope Clement XII included replacing the aqueduct with ornate fountains. According to an old legend, visitors who tossed a coin in the Trevi Fountain would be guaranteed a return trip to the city of Rome. The Fountain of Wealth, comprised of silicon bronze, is a circular ring supported by four legs. 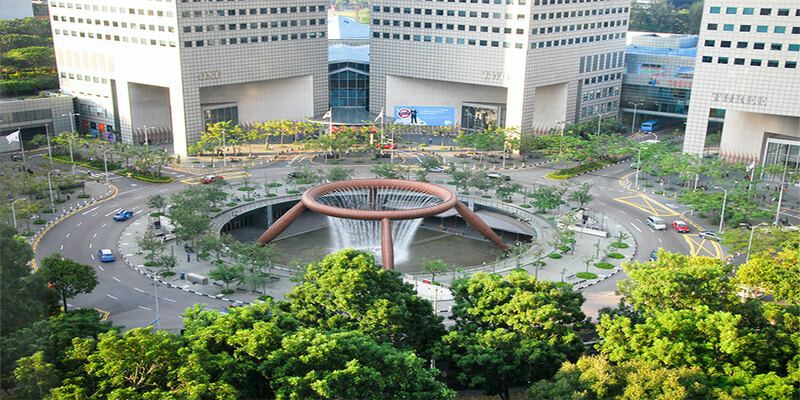 This extraordinary fountain in Suntec City, Singapore follows the ideals of feng shui, an ancient Chinese art of placement that aims at creating a harmonious environment and promoting positive energy. The blocks surrounding the structure symbolize the five fingers of a hand and the fountain represents a ring in the palm of the hand that is thought to guarantee wealth. 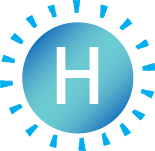 Also, the inward flow of water is believed to promote wealth in Suntec City. In the daytime, visitors can walk around the mini fountain for good luck and view laser performances in the evening. 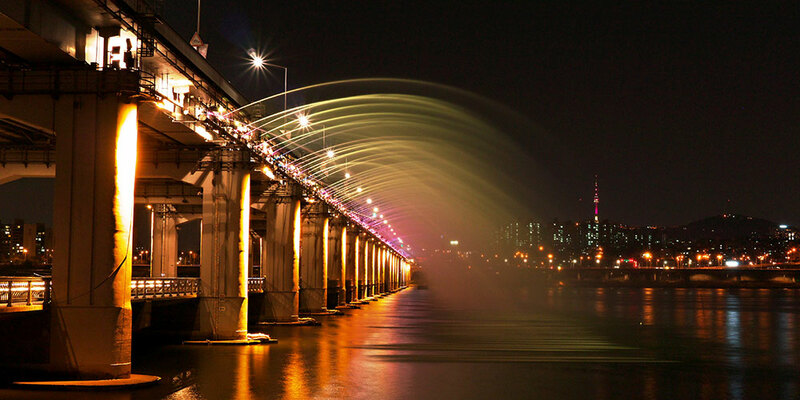 Banpo Bridge is home to the world’s longest bridge fountain that features thousands of LED nozzles and spouts out 190 tons of water per minutes. Established in 2009, the Moonlight Rainbow Fountain in Seoul, South Korea prides itself on its eco-friendliness since the water is pumped directly from the river. Operating from April to October, the fountain features daily performances that signify willow branches and leaves. The magical evening shows, irradiated by hundreds of lights, feature colorful jets of water synchronized with music. 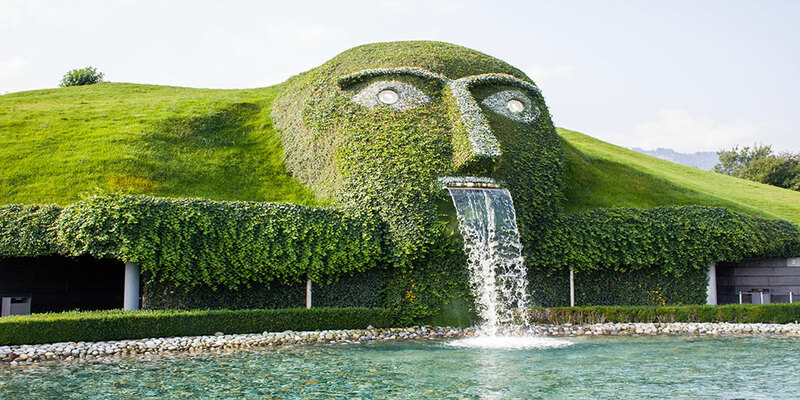 Nestled in the market town of Wattens, Austria, the Swarovski Fountain is referred to as “The Giant” and features two large crystals for eyes and a gush of water for a mouth. Behind the curtain of water, is an entrance to Swarovski Crystal Worlds, which was constructed by Andre Heller in 1995 to commemorate the 100th anniversary of the company. Within the museum, tourists can explore the history of crystal manufacturing, relive the life of Daniel Swarovski, and marvel at a collection of crystals. While it might not be a typical tourist attraction, the Swarovski Fountain continues to attract visitors from all parts of the world. 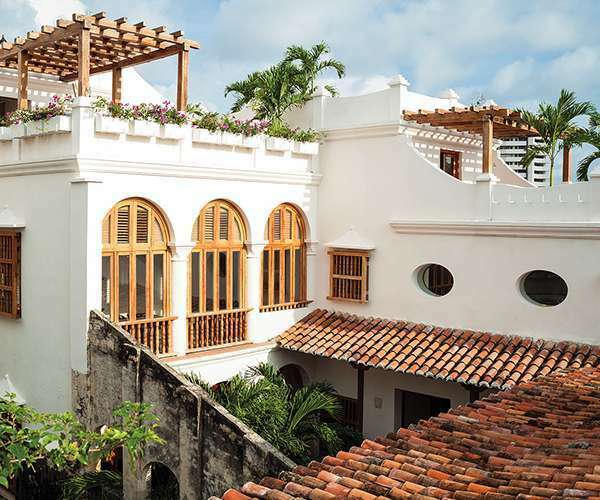 The benefits of the deeply desired window seat include being able to stare out the window and catch the first glimpse of your destination. 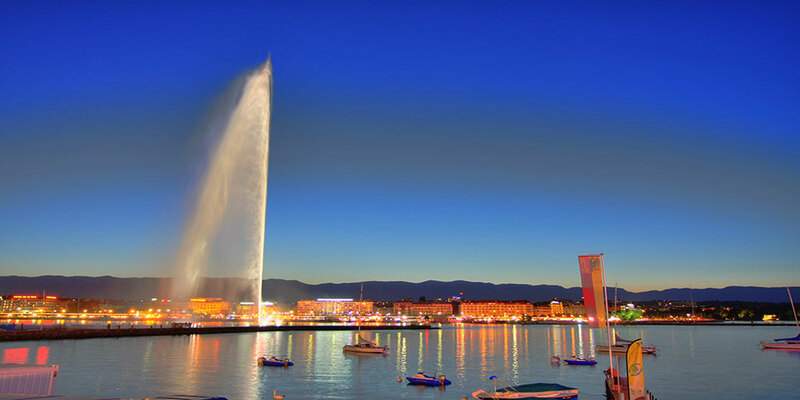 The first iconic image travelers will see when landing in Geneva, Switzerland is often the city’s most famous landmark. The Jet d’Eau is a pencil fountain situated in Lake Geneva that is not only visible from the sky, but also throughout the city. 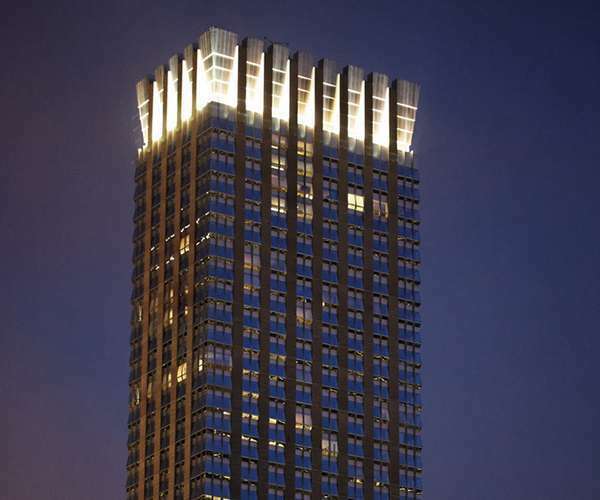 The fountain, which operates during the day and night, might leave some visitors delightfully drenched in the event of a slight change in wind direction. 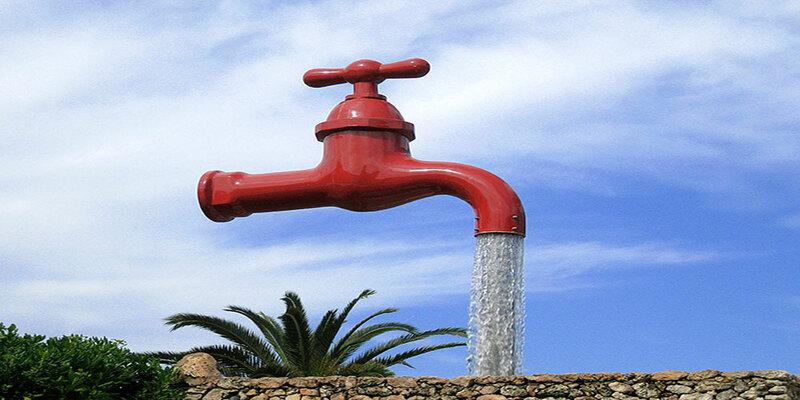 The Tap Fountain of Menorca, Spain is not the only type of fountain that baffles tourists. The tap appears to be floating in the air with no visible support and the water that spews from the mouth seems to have no source. 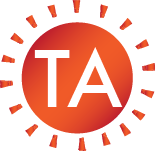 The science behind this incredible attraction is a transparent tube that supports the “floating tap.” This tube also functions as a pipe that pumps water to the top of the tap. While the magic behind this type of function is no longer a mystery, tourists will continue to be amazed by the impressive engineering behind the optical illusion that makes the fountain functional. Constructed on a former parking lot, Place Jean-Paul Riopelle in Montreal, Canada is surrounded by the colorful convention center and CDP Capital Center. 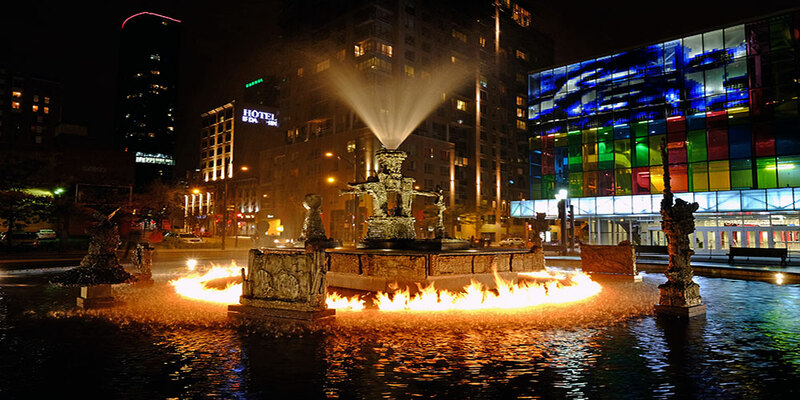 At the center of the square is La Joute, a sculpture fountain known for its ring of fire. The attraction comprises of several abstract bronze sculptures that surround the central fountain. On the hour, nozzles surrounding La Joute shoot up natural gas that is ignited by internal flame sources, creating a magical spectacle for locals and tourists alike. Representing the republics of the Soviet Union, the People’s Friendship Fountain in Moscow offers insight into the country’s rich history and culture. Also known as the “Friendship of Nations,” this fountain has 16 golden statues that glisten from the beams of over 4,000 lights. The complex system that enables over 300 gallons of water to launch more than 75 feet into the air is hidden under the large granite pond. 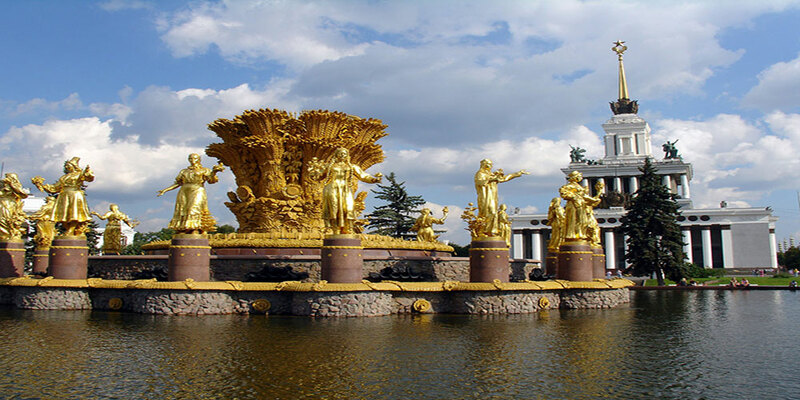 The ornate fountain is situated in the Exhibition of Achievements of National Economy, one of the world’s largest trade show and amusement complexes. With the exhibition grounds being a popular site for tourists, a trip to Moscow would be incomplete without witnessing the beauty of the People’s Friendship Fountain. 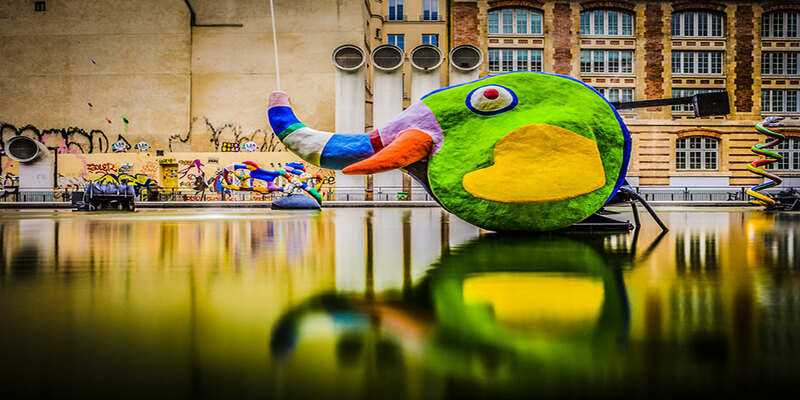 The whimsical Stravinsky Fountain outside the Centre Pompidou in Paris showcases 16 different sculptures inspired by the compositions of Igor Stravinsky. As part of a citywide initiative to build several contemporary fountains, the Stravinsky Fountain was built above a French institute of science dedicated to the studies of music and sound. Keeping in mind the number of offices and rooms beneath the attraction, the sculptors crafted their art with light materials such as plastic and opted for a shallow water level. The quirkiness of the entire attraction makes it worthy of exploration, as the Stravinsky Fountain is no ordinary fountain.